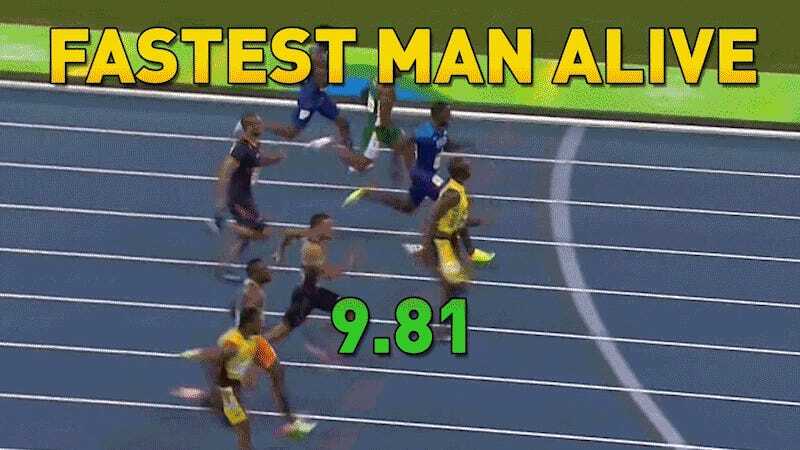 Usain Bolt won tonight’s 100m final, his third Olympic gold in a row in that event, with a time of 9.81 seconds. Runners-up Justin Gatlin and Andre de Grasse looked at the finish like they were running in slow motion. Bolt is 29 years old. Most sprinters are past their prime by age 30—Carl Lewis famously fell off quickly by age 31—but Usain Bolt is not comparable to any human who has ever lived. If Bolt decides he wants to be an Olympian in 2020, he probably can be.